One of my favorite meals to prepare on the grill is breakfast…and one of my favorite cuisines are Latin American dishes. It's good to know that when I’m grilling on the go I can still prepare this classic brunch offering of Huevos Rancheros! 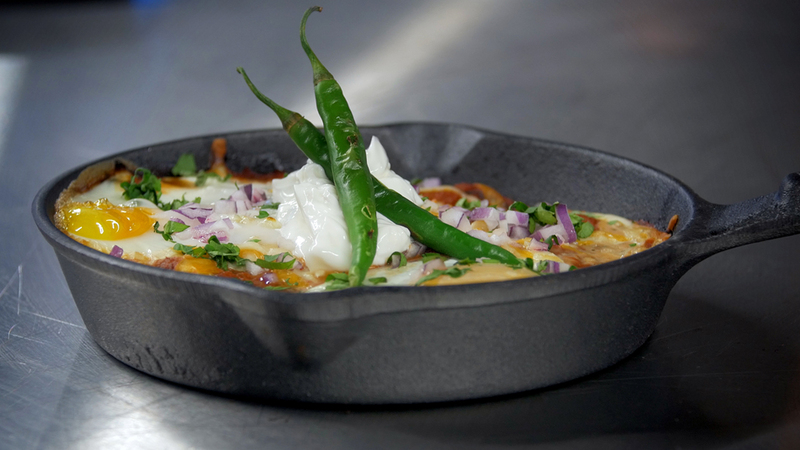 The crispy grilled corn tortillas layered with refried beans, cheese, salsa and eggs served in a cast iron skillet makes for a crowd pleaser wherever I go, no matter what time of day! Check out the recipe below or click on over to the video to see this recipe in action. 1. Prepare the grill for direct cooking over medium heat (as close to 450°F as possible). 2. Brush the tortillas on both sides with oil, and then grill over direct medium heat, with the lid closed, until crisp, 4 to 6 minutes, turning once or twice. Remove from the grill and spread one of the tortillas with the refried beans. 3. Place the tortilla with the beans in the bottom of an 8-inch cast-iron skillet, and then place the tortilla without the beans on top. Pour the tomato sauce over the tortillas and scatter with the grated cheese. Make two shallow indentations on top of the mixture, and crack one egg into each indentation. 4. Place the skillet over direct medium heat, close the lid, and cook until the eggs are set to your liking, about 12 minutes. 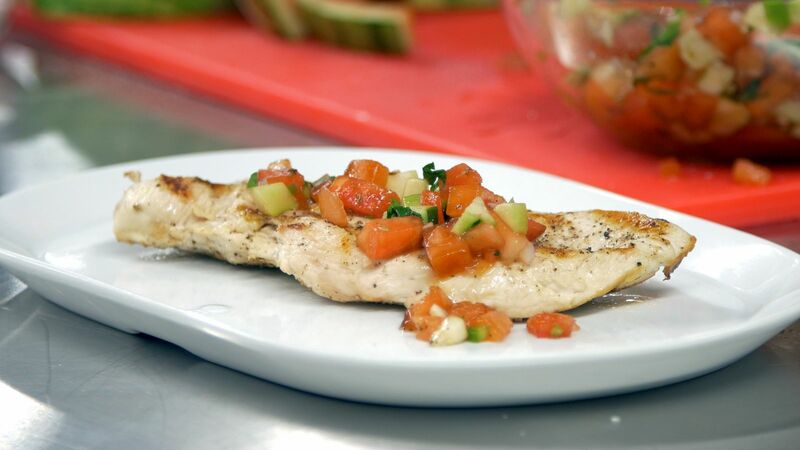 Remove from the grill and garnish with onion, jalapeño, sour cream, and cilantro. Serve warm, right from the skillet. ENJOY! Having grown up in Mexico, one of my favorite childhood memories is picking avocados from the trees in my backyard. Throughout the years, I’ve experimented with grilling this versatile superfood. 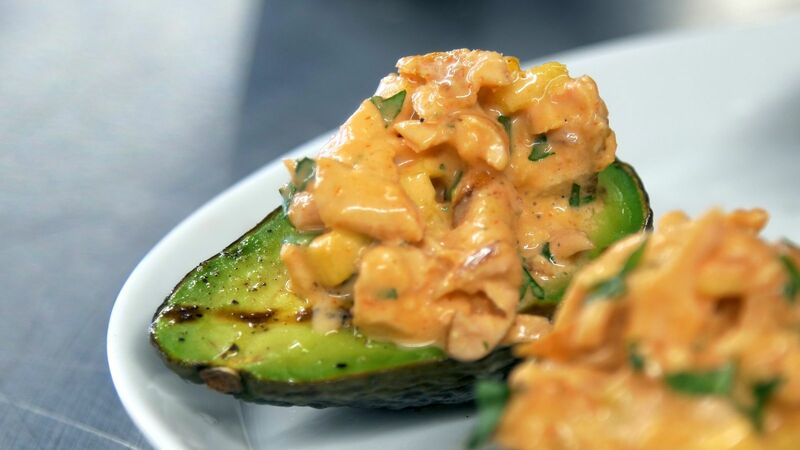 In this recipe, grilled avocado halves act as a unique, nutritious cup for grilled salmon salad. It's a practical and delicious dish for BBQ parties and gatherings, providing a healthy option full of smoky flavor and creaminess! Check out the recipe below or click on over to the video to see this recipe in action. 1. Prepare the grill for direct cooking over medium/high heat (as close to 450°F as possible). 2. Cut the avocados in half and remove the pit and slice the mangos. Brush the avocados with olive oil, sprinkle with salt and pepper. Grill both over direct medium/high heat, with the lid closed, for 2 minutes, turning once. Remove from the grill. 3. Flake the cooled, grilled salmon. At the same time, make the dressing by combining the ingredients. Add the flaked salmon to the dressing and mix. 4. Use a spoon to make the hole in the avocado where the pit was larger. 5. Dice the grilled mango slices. Add to the salmon dressing. Add a splash of lime juice, then season with salt and pepper to taste. 6. Scoop the salmon salad into the avocados. Garnish with cilantro or parsley. Add a splash of lime juice. ENJOY! So simple but oh so good! Now wherever you go, you too can have the power of grilling your own nachos. 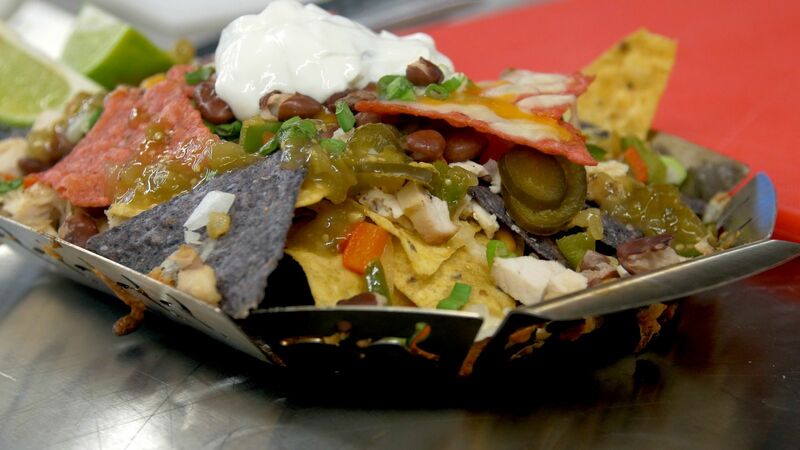 Perfect for entertaining to tailgates… nachos never get tired…especially when they’re grilled. Utilize your veggie baskets as cooking and serving vessels for your nachos then stack away with your favorite ingredients and cheese… and get grilling! Check out the recipe below or click on over to the video to see this recipe in action. 3. Reduce the grill to medium/low once the nachos are ready to be placed on the grill and place the Weber grill basket on to the grill and close the lid. Set a timer for 10 minutes. 4. After 10 minutes check to see if the cheese has melted to the desired point. If not, rotate the basket and set the timer for another 5 minutes. 5. Once done, remove from the grill and top the nachos with the thinly sliced green onion and the hot pepper or jalapeno rings (optional). 6. Serve this snack in the Weber grill basket accompanied with the sour cream, guacamole and remaining salsa. ENJOY! 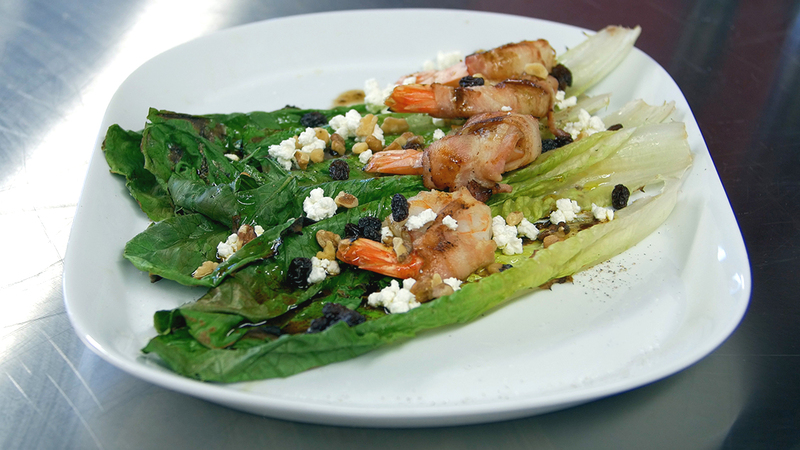 Try grilling some proteins such as shrimp, bacon or chicken. The process of grilling will caramelize proteins, which helps seal in the natural juices and flavors. Check out the recipe below or click on over to the video to see this recipe in action. Traditional sangria is comprised of fresh fruit and wine. 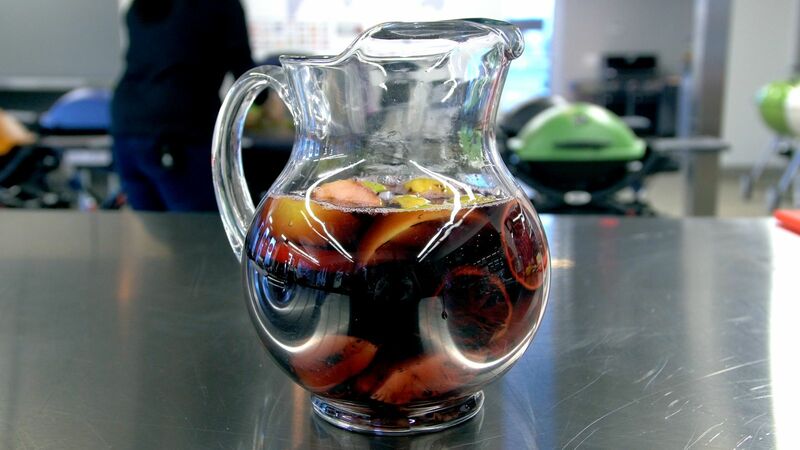 If you love sangria, then make this drink even more special by adding in some grill flavor. 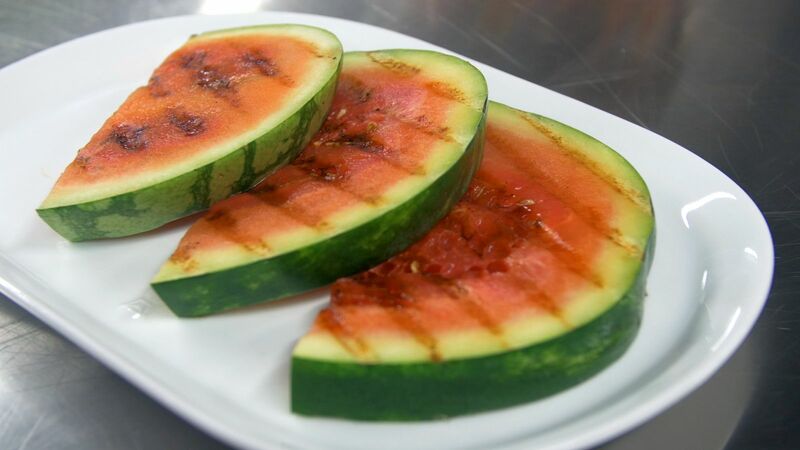 When you grill fruit it becomes sweeter from the carmelization process of the natural sugars. The caramelized fruit and wine make for a delicious combination. Check out the recipe below or click on over to the video to see this recipe in action. 2. 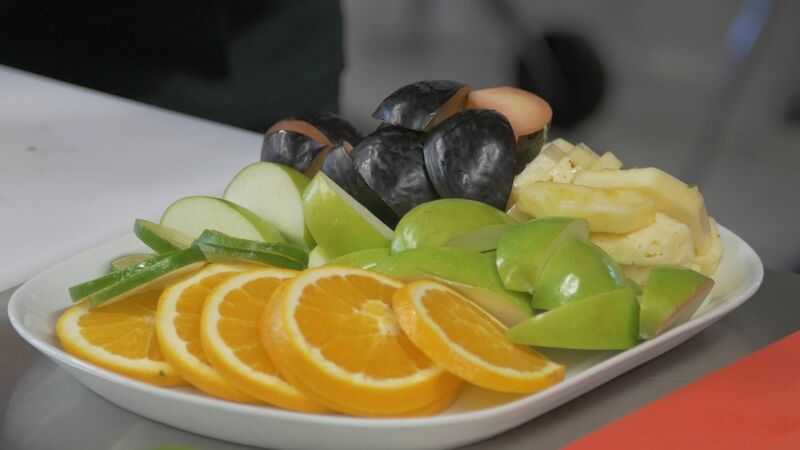 Cut whatever fruit you like into big chunks/slices. 3. Place the fruit over direct medium heat. Grill for about 2 minutes, flipping once. Remove from the grill. 4. Fill pitcher a quarter of the way full with ice. Add grilled fruit. Then top the pitcher off with wine. Stir. Refrigerate for up to 24 hours. ENJOY! Using your bbq you too can prepare a tasty and healthier spin on a traditionally deep fried recipe. Using the cedar plank and a lightly breaded sweet onion, you too can achieve a fresh approach to a carnival classic. 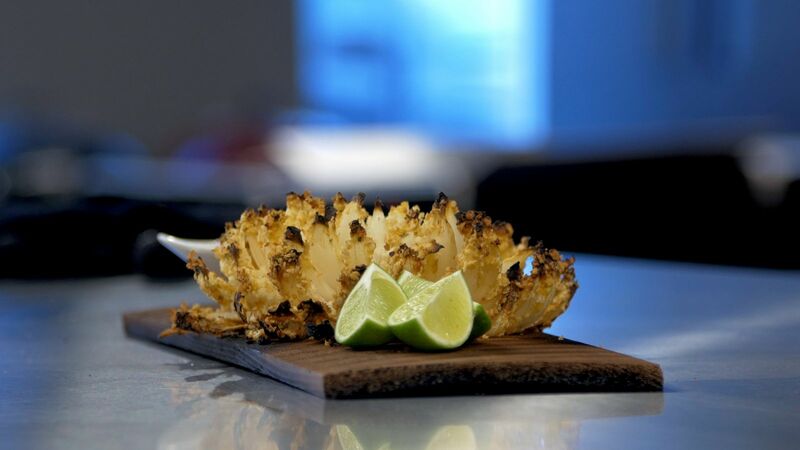 Let the aromas from the cedar plank envelope the sweet onion for a tasty array of flavors hot off a Q1200 grill. Check out the recipe below or click on over to the video to see this recipe in action. 1. Soak the cedar plank in water for at least 1 hour. 3. Place the onion on a work surface, root end up. Make 12 incisions, each about 1-inch deep, evenly spaced around the onion. Turn the onion over and spread the “petals” apart. 4. In a shallow bowl combine the flour, ½ teaspoon salt, and ¼ teaspoon pepper. Put the egg in another bowl. In a third bowl whisk the bread crumbs, cheese, oregano, granulated garlic, paprika, 1 teaspoon salt, and ½ teaspoon pepper. 5. Dip the top of the onion in the seasoned flour, then in the egg, and finally in the bread crumbs, making sure the bread crumbs reach the inner petals of the onion. 6. Place the cedar plank over direct medium heat and close the lid. After 5 to 10 minutes, when the plank begins to smoke and char, turn the plank over. Place the onion on the plank, drizzle the onion with a little oil, cover the onion with foil, and then grill over direct medium heat, with the lid closed, until tender and golden brown, about 30 minutes, removing the foil and rotating the onion after 10 minutes. Serve the onion on the cedar plank with your favorite dipping sauce. ENJOY! At most parties I like to provide a wide range of grilled finger foods for my guests to enjoy…something to stimulate their appetites as we get closer to the main event. This jalapeño popper gets the party poppin’ every time what with the zing of the jalapeño combined with the creamy cheese & horseradish filling then capped and wrapped with BOTH sausage and bacon. Grab a napkin when eating…its an explosion of flavors!! Check out the recipe below or click on over to the video to see this recipe in action. 3. In a microwave oven on high, cook the bacon until the fat is slightly rendered, 2 to 3 minutes. 4. Brush the cooking grates clean. Grill the sausages over direct medium heat, with the lid closed, until nicely browned and heated through, about 8 minutes, turning once. Remove from the grill and, when cool enough to handle, cut each sausage crosswise, and then cut each piece lengthwise. 5. Combine the grated cheese, cream cheese, almonds, Worcestershire sauce, and horseradish. 6. Cut the tops off the jalapeños, and then cut each jalapeño lengthwise in half. Remove the seeds and veins. 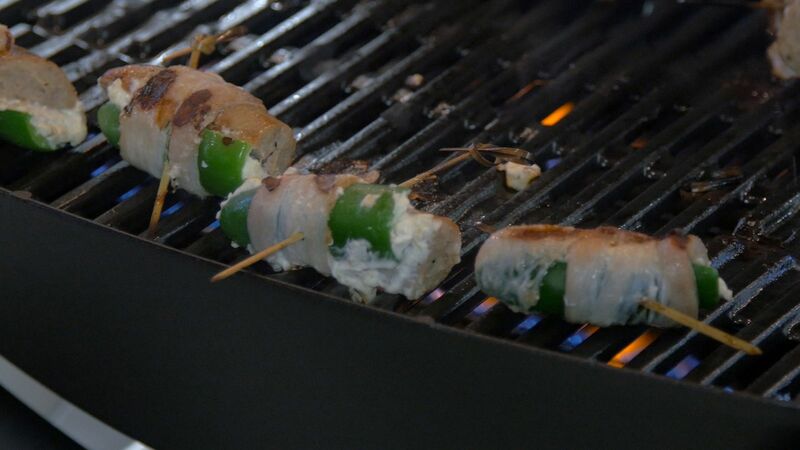 Fill each jalapeño half with some of the cream cheese mixture, and level it off. Then top each with a piece of sausage, creating a cylinder shape, and wrap with a piece of bacon, winding it around in a spiral. Secure with a toothpick. 7. Grill the poppers over direct medium heat, with the lid closed, until the bacon is crisp, about 8 minutes, turning once or twice. Remove from the grill and let rest for 10 minutes. Serve warm. ENJOY!